Are you looking for some pictures of the OC Foodie Festival? Look no further…. a great time was had by all. Some recommendations to the organizers of the OC Foodie Fest. Overall it was a great event. Good entertainment. I would grade it with a A- for effort, B+ for organization, B for value. 1. Water stations with filtered water and refillable water containers are allowed into the event, think green friendly. I saw people being asked to throw away full plastic bottles of water. Doesn’t seem right. 2. Charging $3 for a bottle of water from what was a sponsor? Honest Tea also $3? 3. I paid for VIP, but there should have been more shade for all. umbrellas blowing away in the wind, larger shad areas and misters to cool down. 4. More trucks and / or less people. 5. VIP should have included more value, having to wait in the VIP line and have them run out of samples at least twice, that is not good, maybe have two vendors sampling at the same time and better organization to allow for those that paid VIP get through the line quickly I waited at in the lines multiple times 2 hours total, I could have done that in the GA area and saved the money. 6. VIP – water ran out, drinks ran out with hours to go, including pop-chips and kind bars. GA booth from KIND bars had plenty. Move some of the water and tea from the $3 booth to the VIP area. 7. Perhaps the event should have started later 3-4pm and ran later 8-9pm? 8. VIP should had for sure had at least 1 hour in before GA, I had enough time to get two things and people started lining up all over the place. Author Deborah Eden Tull will discuss her new book, The Natural Kitchen, published by Process this September. A simple, revolutionary guide to mindful, sustainable food shopping, planning, preparation, cooking, and eating in the city, The Natural Kitchen explores the ways in which the daily choices we make involving food impact both our lives and the world at large. Drawing on years of experience as an organic gardener and cook, a sustainability coach, and a Zen Buddhist monk, Tull introduces simple but life-changing ways for urbanites to adopt a mindful and sustainable relationship with food—from shopping, menu planning, cooking, growing, and storing food, maintaining the kitchen, and eating out, to community food sharing and tips for parents. Beautifully illustrated, practical and fun, this book is filled with anecdotes and step-by-step instructions to inspire neophytes and experienced homesteaders alike. free presentation over Labor Day weekend as part of the Silverlake Library Sustainable Saturdays. The Natural Kitchen: Your Guide to the Sustainable Food Revolution. Pacific Asia Museum and The Americana at Brand proudly invite you to a Bhangra Celebration. Enjoy Spectacular Indian Dance Performances, the Art of Mehndi, and Cultural Crafts. Featuring the Dosa Truck, Mandoline Grill, Lomo Arigato, Komodo, and Ahn Joo Trucks. 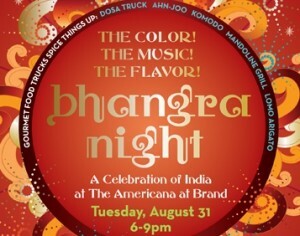 Pacific Asia Museum and The Americana at Brand proudly invite you to a Bhangra Celebration. Enjoy spectacular Indian Dance performances, the Art of Mehndi (henna) and cultural crafts. Free and open to the public. You want to watch UFC 118 Edgar v. Penn live streaming online for free? Find a good way to see the UFC 118 streamed for free online today? At least 10000 people flee an erupting volcano on the Indonesian island of Sumatra. Smokers know that traditional smoking is harmful to their health. Yet, for some it is a relaxing or social experience they are not ready to give up. Beyond addiction to nicotine, there are rituals many smokers enjoy that delay their quest to seek ways to stop. Modern technology has a way of catching up and making our lives just a little easier. Possibly one of the greatest new discoveries is that of the electronic cigarette. Electronic Cigarettes give you the same look, taste and feel as a traditional cigarette without the harmful toxins. One of the most popular E-Cigarettes in the market is Never Light Again Electronic Cigarettes, these are very handy and stylish e-cigs. Never Light Again Electronic Cigs are with powerful battery with a USB charger, Car charger, Home charger, atomizer, cartridges and when all these are combined together they make a traditional look but a good social acceptance. Never Light Again Electronic Cigarettes is available in the market with one hundred and one different gourmet flavors to enjoy different tastes in your life. You will get one year warranty of this electronic device and also Never Light Again Electronic Cigarettes is providing you a 30 days money back satisfaction guarantee. We will recommend Never Light Again Electronic Cigarettes for anyone who want to smoke a good look with no side-effects. Click here to get one pack of Never Light Again Electronic Cigarettes for free. ALTCAR Expo 2010 is a free, open to the public, two-day, zero-waste transportation event with what’s new and available in the world of alternative energy transportation options. The most extensive alternative energy and transportation event on the West Coast – with alternative technology vehicles, alternative transportation, urban planning, energy efficiency and carbon footprint reduction educational choices. – Ride & Drive…consumers can drive (all in one place and for free) the newest on the market and soon to be on the market sustainable options in cars from major manufacturers and alternative new companies, with many cars for sale at the show. Vehicle line-up includes the Nissan LEAF, Chevy Volt, Ford Transit Connect, CODA, Toyota Prius, Honda GX, BMW Mini E, ZeroTruck, AC Propulsion eBox and Fuel Cell vehicles from Nissan, Honda, GM, Kia and Mercedes-Benz. – Focus on Fleets Conference in conjunction with MEMA, NAFA & APWA for the Industry featuring speakers, exhibits & municipality demos. Winner of the @ocfoodiefest ticket giveaway @mormishmom Kyla Armstrong must respond by 9am or another winner will be selected. 50 food trucks will be on site at the Honda Center today from 11am to 7pm sampling and selling many of their popular dishes. Get ready, it is shaping up to be a good time and the weather is cooperating too. My review of Picasso cafe experience. Watch out for the hours on this place. They also have expired coupons on their site. The staff at the location are not very friend. Gave my parents a Groupon I had purchased and they went by and the place was open, but they where refused service and told that the Groupon was no good. Even though today was the last day. Also, an fyi for Picasso’s the Groupon is still good for the price paid. I don’t care how good your food is if you don’t treat customers with respect you will fail. Thank you for your business review of us on Yelp and for your feedback. We also appreciate your purchase of our Groupon Coupon. We take our business very seriously, and have a very high regarded reputation in our community for over 20 years. I understand you came in after hours on Monday(around 4pm or so) and were denied usage of your Groupon because we were closed. Our hours are Monday-Friday, from 7am-2:30pm. If you would like to give us another chance, we would be happy to honor your Groupon for the full value with no expiration date due to any inconvenience we may have cause you. If possible, please call me personally or send me an email when you are planning to visit next, and we will make accommodations for a private table reservation and tableside service for your next visit. We want you to know we value you and your parents, and hope you will consider leaving a more favorable review after your next visit. Thank you for your time, and I look forward to meeting you in the near future. Please do not hesitate to contact me direct, or my assistant Christy Juarez, with any further questions, comments, or feedback you may have. Thanks for email. I appreciate your offer and response. It is difficult for me to make it during the hours that you are open. But I will let my parents know and have them call and see if they can make it back over. Save the Date! & Linus Bike to be Raffled off! At SPARC – 685 Venice Blvd. The Food Rendezvous will provide for a community gathering of high quality local artisan food producers and their handcrafted products, with the ever growing number of people looking to know where their food comes from. Nonprofit food organizations will also take part to share in the threading together of our LA foodshed. It will convene on monthly basis on Saturdays between 4pm-10pm and move throughout the city in different inspiring locations, allowing us to create a sense of community, beauty and neighborhood spirit. – At the door: $15 for adults; children under 12 free. – A big appetite! There will be lots of delicious prepared foods for sale, too! The 3rd Annual UNIQUE LA Holiday Show is set for Saturday & Sunday, December 11 + 12! As usual, the giant alternative to the mall will be held in the penthouse of the California Market Center, 11-6 each day. See you there! It’s hard to imagine the holiday season during this heat-wave but the 3rd Annual UNIQUE LA Holiday Show is taking over the city this December 11 & 12! If you’re interested in taking part apply online now. Applications will be accepted through September 30th at midnight. We look forward to seeing all the great talent out there. Good luck! Plush Toys • Books • Photography • Screenprints • + more! Here’s your official OC Foodie Fest cheat sheet! Orange County’s first gourmet food truck event is rolling into town TOMORROW! We are GOING TO SELL OUT so make sure to visit our site and pick yours up today if you haven’t already! For directions, please visit the Honda Center website. 1) Be sure to follow along with us on Twitter, Facebook and don’t forget to “Check-In” on Foursquare at the Fest! We’ll be running giveaways throughout the day exclusively through those channels. 2) We’ll be holding a raffle for more great prizes so be sure to bring some extra spending cash and you could win prizes from gift certificates to local restaurants, to Angels Tickets, and more! 3) 2 words: Scavenger Hunt; 2 more words: Muse Tickets. or you can share this newsletter with your friends by just clicking on one of the buttons below! Update: Call the number below and tell them you want to cancel then when they ask why, tell them it is because they are offering new customers the better price, $19.95 for a service that you are paying $40 for, they will then make the adjustment to the account, it will take a few days and for some reason the billing will take two months to update, go figure. It is a 12 month agreement. They don’t want to loose customers, so they are making these amends. I was ready to cancel and use Charter Cable Modem service, because it screams, super fast with the Docsis 3. So I knocked over $10 off my monthly bill with AT&T with a simple call. DSL Elite Service, basically their fastest service with UP TO 6mb down and 512k up. The “special” is only available to “NEW” customers and the price is $19.95. If you are an existing customer the price is $40!!! Regular price $40/mo. New DSL customers only. Downstream up to 6.0 Mbps. Here’s the link with the specials. Right now I am paying over $30 for the Pro service and that is too expensive and that is being offered to “NEW” customers for $14.95. AT&T when will you learn that you need to be fair to existing customers or you will loose them, perhaps you really don’t care. I am so close to start dropping services. AT&T Wireless iPhones – iPhone service from AT&T in the Pasadena area leaves a lot to be desired. Lots of dropped calls, no service, horrible. AT&T DSL Service – slow service I get about 3mb down, if I am lucky and 400k up if I am lucky. AT&T Home Phone Service – really don’t need it anymore as long as I have a reliable mobile phone, which AT&T fails at delivering. I’ve been strung along waiting for the Microcell. After being told that it would be available at the Pasadena Hasting’s Ranch Store, basically lied to and then ridiculed by store staff, not happy about that experience to say the least. Anyway, now it appears you have a more serious problem as some people in some states are being offered the microcell if the threaten to cancel their service others are not able to buy, others are having horrible experiences with it. I guess the only way AT&T will pay attention is when people like myself stop putting up with your crappy service and horrible customer service. You are about to loose at least a few customers for your arrogant and complete disregard for customers, in particular one who has been loyal for over 25 years, back form the ISDN and dialup days. I have been a $300+ RPU (revenue per user) account as a home residential user. That’s nothing to sneeze at. You better start paying attention to your existing customers, and improve your service. Here we go. Another Foodie Festival, this time in the OC. This weekend August 28, 2010 at the Honda Center of Anaheim there will be an awesome event with dozens of food trucks and entertainment. I have a pair of tickets I would like to giveaway, the process is easy. Make a comment here, follow me on twitter @victorcab. I currently have 1469, the giveaway ONLY happens if I break 1500 followers, which is about 31 away right now. Tell your friends, get the word out. So there you go, the deadline is Friday 12 noon, PST. Let’s get started! I have 1496 followers just a few more to go. Thanks to everyone who is following and commenting on the blog. I will pick someone if I pass 1500 followers. The organizers expect about 8,000 people!!! wow! I will extend the deadline until 9pm tonight. Market Basket is based on the 40-year-old community-supported agriculture (CSA) concept from Japan. A traditional CSA program offers customers a share of a farmer’s yearly harvest in exchange for a pre-paid subscription fee. Essentially, it provides a community with local produce and ensures a farm’s operation and a farmer’s livelihood for a year. Market Basket accomplishes the same goals, but uses the farmers’ market as the point of contact between farmers and customers. The program will allow customers to pick up pre-ordered baskets filled with fresh Echo Park Farmers’ Market produce from 5:30-8:00 pm every Friday. Market Baskets can be pre-ordered through online accounts with our website, www.shopfarmernet.com, which will also allow you to manage and renew your subscription. We will accept payment by credit card and EBT/SNAP. What a great deal from Qdoba Mexican Grill, they are opening stores around the Southern California area, so keep your eyes peeled for one near you. Now they have stores in Duarte, Santa Clarita, and other areas. When you build an entree on the Qdoba site you’ll be able to print a high-value coupon for something at Qdoba. One of them is a coupon for a free entree with the purchase of a drink! The coupon is good for about two days after you print, so make sure to read the coupon, and they will only accept one coupon per email, so make sure all the emails on the coupons printed are unique. You can get a new coupon every day for the next six weeks. So if you don’t like the coupon you get today, try again tomorrow! Jimmy Carter Returning From North Korea With Aijalon Gomes. Ex-US President Carter frees Boston Americanman from North Korea. former President Jimmy Carter worked to negotiate his freedom. North Korea releases jailed since January after Jimmy Carter Secured Release of Aijalon Gomes. 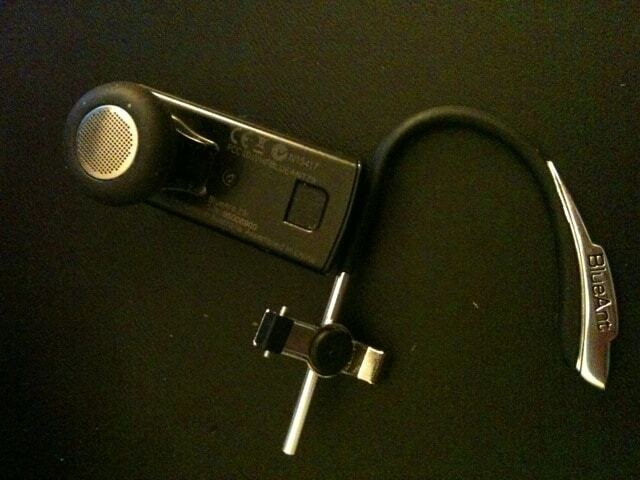 Today while putting on my BlueAnt Bluetooth ear piece the hook part busted from the main unit. It seems that it must have broken off, because I cannot figure out how to get it to go back on, it doesn’t snap on and there are a few pieces that seem to not fit in any of the slots. I am on hold now waiting to speak to someone. Apparently they just opened and have 2 people answering the tech support lines. So I will try to send an email and then follow-up with a call later. Try option 1 for support. Miss Phillipines may have cost her the title. Miss Mexico was the winner.